Here at Freeway Auto Body, we know how much the average Albertan needs their vehicle. We also know the average Albertan knows the worth of their hard-earned dollar. Understandably, everyone is always trying to get the best deal on the highest quality service– their vehicle is no exception. Vehicles are already an expensive endeavor, but few things are worse than putting a lot of money in to fix something that loses its worth exponentially. Read on for our top three tips for saving on auto body repairs, without sacrificing value! 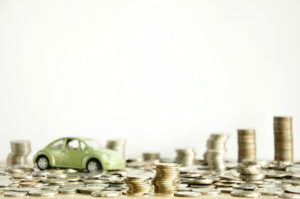 Putting off auto body repairs is one of the easiest ways to speed up your vehicle’s depreciation. As small dings and dents build up, they not only reduce the curb appeal– but they also increase the risk of serious damage, such as rust. Minor damage can be repaired or buffed out if treated early, but letting it go means you will likely end up replacing the part entirely. Preventative maintenance is an investment! It extends the lifespan of your vehicle while maintaining its value. If you go to one auto body shop and always take them at their word, how do you know if you are getting the best value for your dollar? Shop around! Whenever you need a repair, get multiple quotes or estimates from a variety of auto body shops (at least three). Compare them and choose the best one, but remember the ideal choice is not always the most affordable. Consider all aspects of auto body, from the customer service to the convenience. Auto body restoration and repair is a complex professional field with many demands and products are constantly changing. As a consumer, you should not have to be a trained expert to keep your vehicle in peak condition. Still, it is helpful to know what is and what is not necessary when it comes to auto body upkeep and maintenance. High-pressure sales tactics are often employed to get vehicle owners to purchase unnecessary products or services. In these cases, knowledge is power– a base level of familiarity will always help you avoid getting scammed. These three tips are only a brief introduction to the concept of getting the best auto body service for the best price. Questions? Concerns? Freeway Auto Body is a great place to start! Our friendly technicians and customer service representatives are standing by to give you peace of mind. Contact or visit us today!